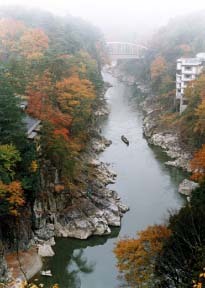 The Tenryu-kyo Koya-bashi neighborhood, and the Tenryu ship descent and the Tenryu line descent have a roof of a Kyousen visible to fame and the right on a Ryuukyoutei and the left. 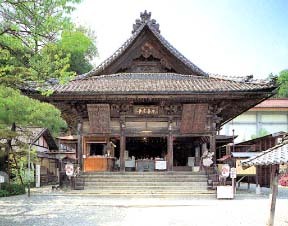 It is called the birthplace of a Zenkoji. 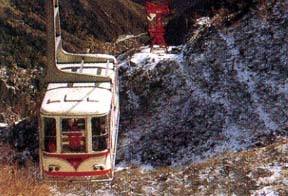 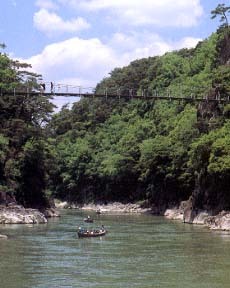 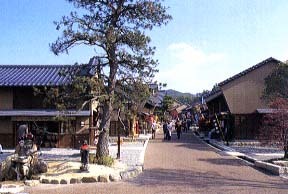 The museum park which exhibited the history culture from Edo to the early stages of Showa "Ina valley trip."